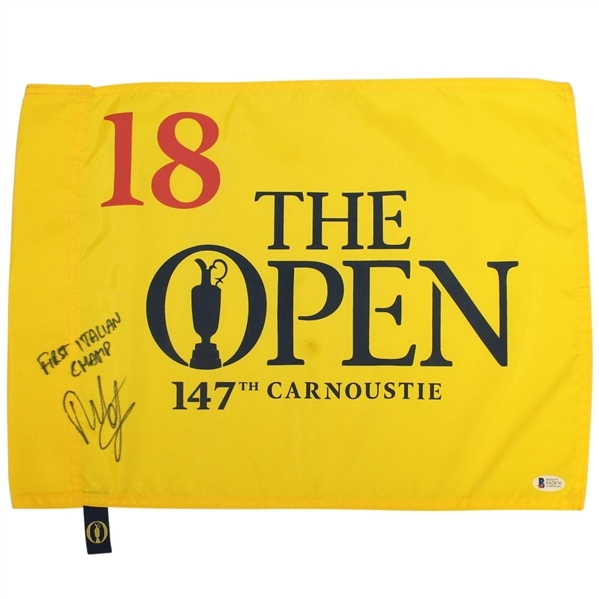 Offered here is a 2018 Open Championship at Carnoustie flag signed by the champion Francesco Molinari. 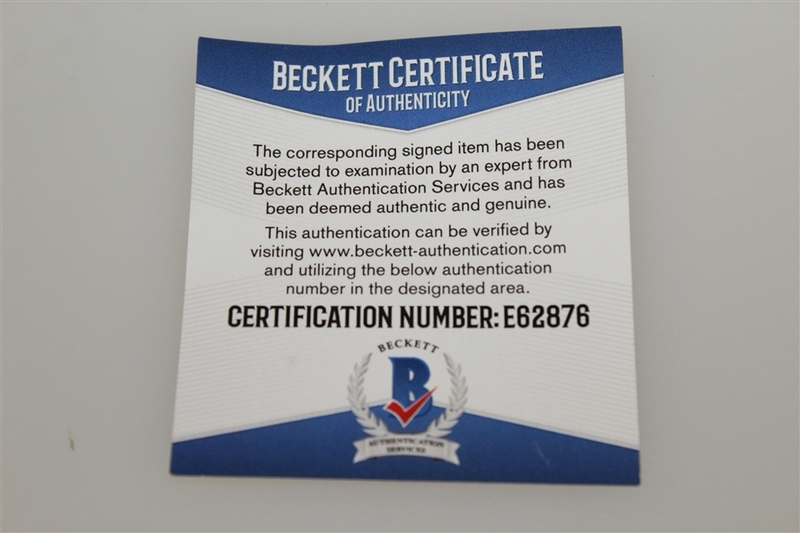 The signature is accompanied by a notation that reads "First Italian Champ" with Beckett authenticity #E62876. The 2018 Open Championship was Molinari's first Major victory, helped by his final round 69 to claim the Claret Jug by two shots over the field. Please note: This auction will end at 5:00pm EST this Sunday, September 30th, with EXTENDED BIDDING to follow. 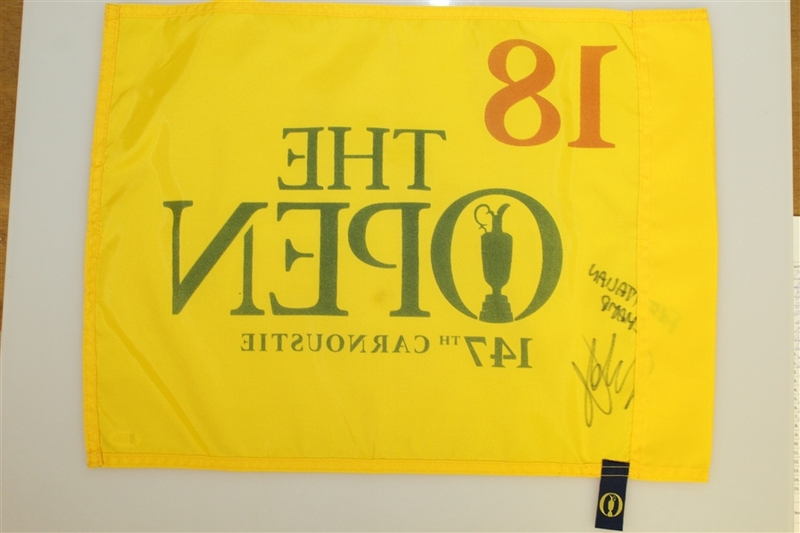 All items in the auction will remain open until no items have received a bid within a 15 minute time period (up to 9pm EST, then countdown clock will adjust to 5min time period). There is a buyer's premium of 17.5% for all items. 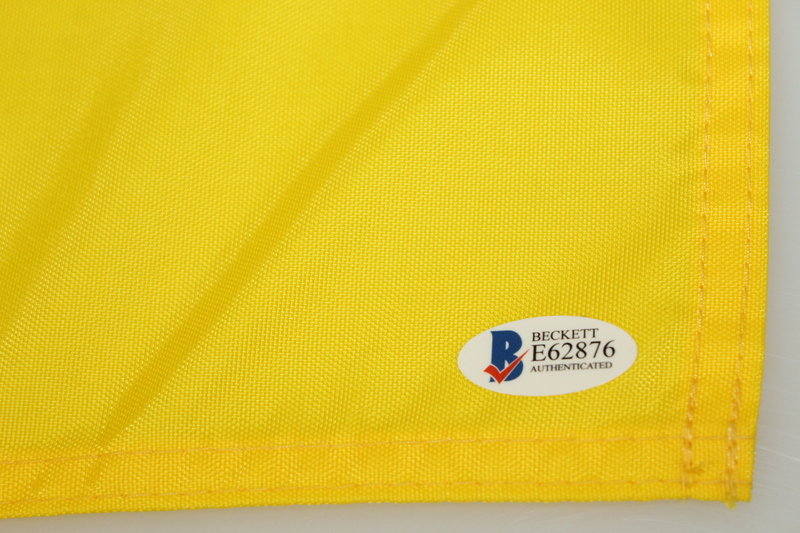 All lots are free to be bid on until extended bidding has ended. Auction closed on Monday, October 1, 2018.